I was totally taken by surprise. Looking at the building’s outside, you’d never suspect that within is Plymouth’s newest and only banquet hall. But after the first few steps inside Amore, my husband-to-be and I knew: This was the perfect place for our wedding reception. What impressed me first? The hall’s spaciousness? Its clean, modern look? Its elegant, classy, brilliantly warm ambiance? My immediate visualization of this large, blank slate transformed into our special night? Banquet coordinator Alan Bublitz gave us a tour, describing Amore’s amenities. An appealingly artistic, fully-stocked bar. Clean, modern restrooms. A courteous, professional and efficient staff to provide us and our guests a celebration of our wedding day, and leave us with lasting, glowing memories. Everything our perfect day would require. Alan actually said that: Amore does everything to make our wedding reception perfect. You know what? He meant that. Every word. On first meeting Alan, my expectations were fairly high. Well, those expectations were exceeded. Alan became our personal wedding planner, overseeing every detail. He was one hundred per cent available to us. You have to actually hear Alan say that, in his own voice, to appreciate his casual confidence, his experienced competence. I’ve seen friends become increasingly frantic and overwhelmed with details of an approaching wedding. Incredibly, my own state of mind increasingly became one of things being more and more under control, each time Alan calmly reassured us, “We’ll take care of that.” And never, never was he annoyed or bothered by what I thought were endless requests and questions on my part. As we planned the banquet meal, I was impressed with our options. Creating the menu while accommodating a few guests with special food restrictions posed no problems for Alan. 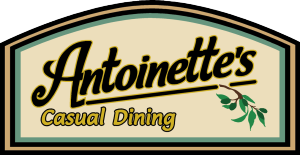 I expected the same quality food that I’d personally experienced at Antonio’s and Antionette’s. Again, those expectations were exceeded. The food was fantastic—perfectly cooked, seasoned, flavorful, and served quickly and efficiently. Guests raved about how great the food was. Well, the truth is, the guests raved about everything. I myself will continue to rave about Alan, Amore and its staff, and give them all a 10-plus on a 10-star scale, for making ours a perfect wedding. Note: The above story is a compilation of testimonials from numerous satisfied clients of Amore. We thank each and every person from whom we borrowed comments.